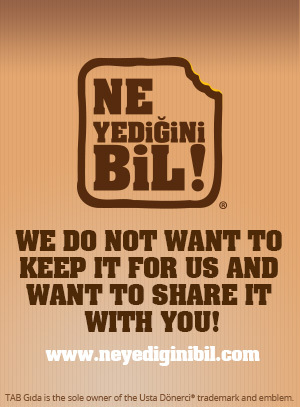 Usta Dönerci® was founded by TAB Gıda, the leader of the fast food service restaurant chain industry. TAB GIDA created the Usta Dönerci® trademark by combining 20 years of experience with the experts in the business and offers high quality products to customers at reasonable prices with outstanding service quality through expert employees. The unique taste of Usta Dönerci® comes from carefully selected ingredients. 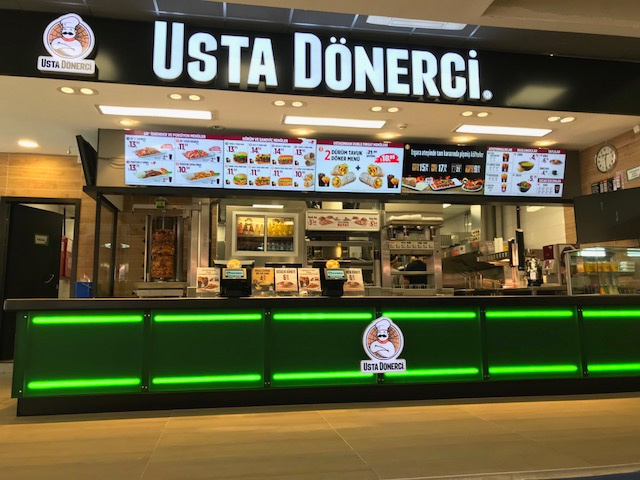 Usta Dönerci® works with suppliers that ensure international quality standards and prepares products without compromising traditional preparation methods, always offering delicious products and döner varieties that are only prepared with natural and additive-free products for its customers. TAB GIDA invites customers to experience thousands of years of Anatolian taste traditions at nearly 130 Usta Usta Dönerci® restaurants throughout Turkey.